Emerald Isle vacationers who want to explore the wide waters of the Bogue Sound via a kayak, paddle board, or kiteboard rig can head to Cedar Street Park. This soundside park that’s almost hidden among the neighboring beach homes may be tucked away, but it’s an exceptional stop to drop a fishing line, launch on an on-the-water adventure, or just pause and admire the view. 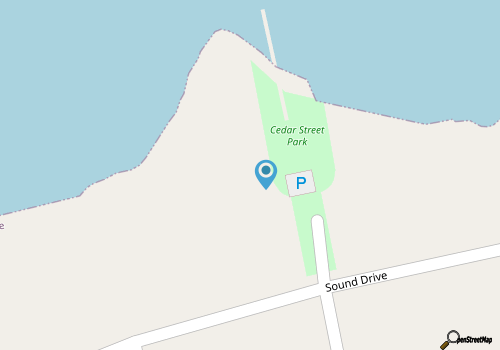 The park is located at the very end of small Cedar Street, which is found on the eastern edge of the town, and which is close to a collection of vacation rental homes and area accommodations. While folks in the neighborhood can just walk to the end of the street to enjoy the park, visitors who are staying within driving distance will find modest parking for about 7 cars (without trailers.) Once on the site, park-goers can enjoy a relaxed snack or meal at the waterfront picnic table, can stroll out to the small soundside pier to go fishing or check out the local wildlife, or can launch on a kayaking, paddle boarding, or kiteboarding adventure from the small boat dock. With so many active and passive ways to have fun, Cedar Street Park is a cool way to enjoy Emerald Isle’s great outdoors, off the ocean-facing beach.